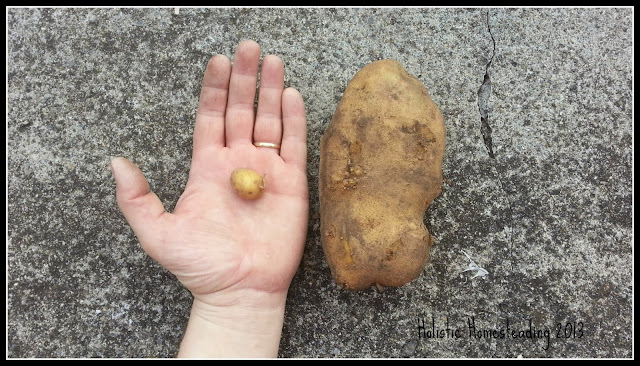 Stefan and I spent Tuesday afternoon last week in the garden pulling out the potatoes as it was time, they were nicely wilted and the we dug and dug and dug! 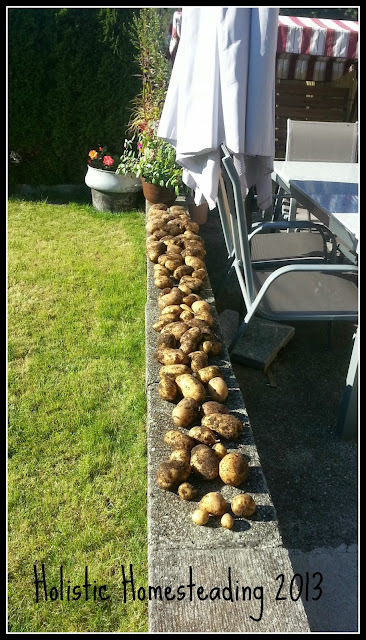 We ended up pulling out 12 kgs of potatoes all in all. 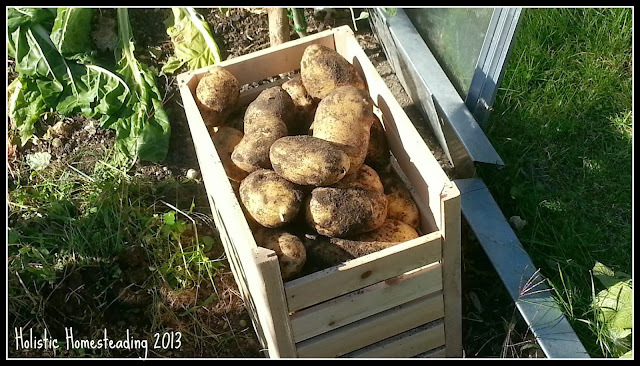 We laid them in the wonderful, warm afternoon sun to dry and then placed them in our potato crate to go into the cellar. 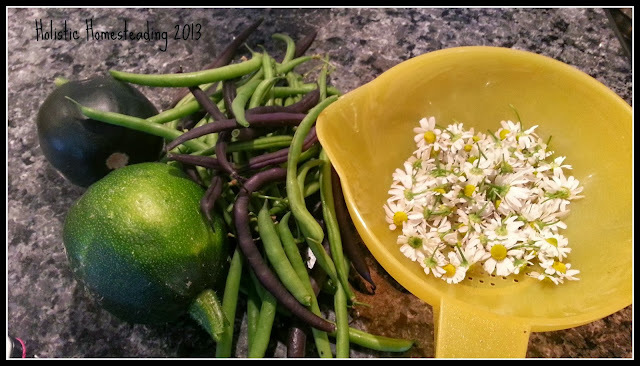 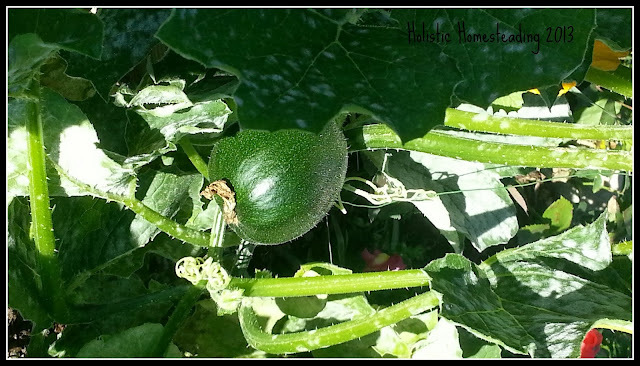 Besides the potatoes, we harvested some more beans, a couple of gems (so far have had 7 gems - yummy) and I continue to harvest a little chamomile each day in an attempt to collect enough from the garden for the winter months.